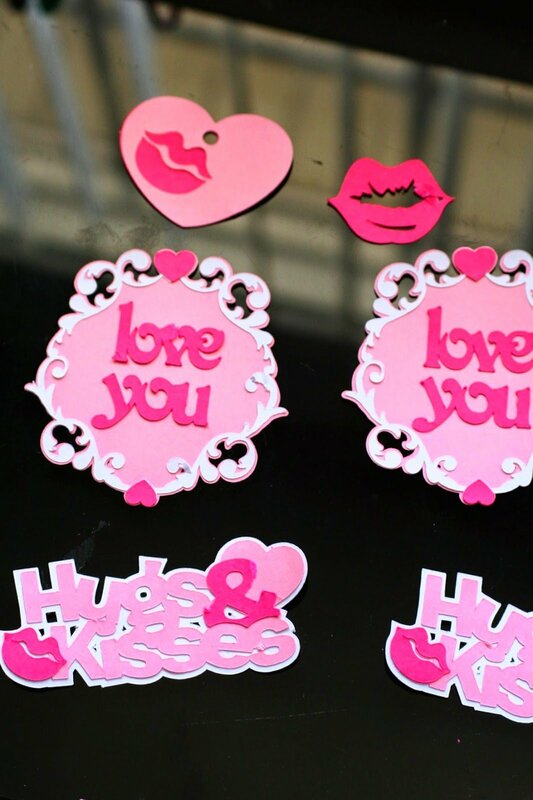 Valentine's Day is the week! Can you believe it? Time sure does fly. I have been having fun this past week getting ready for the big day. 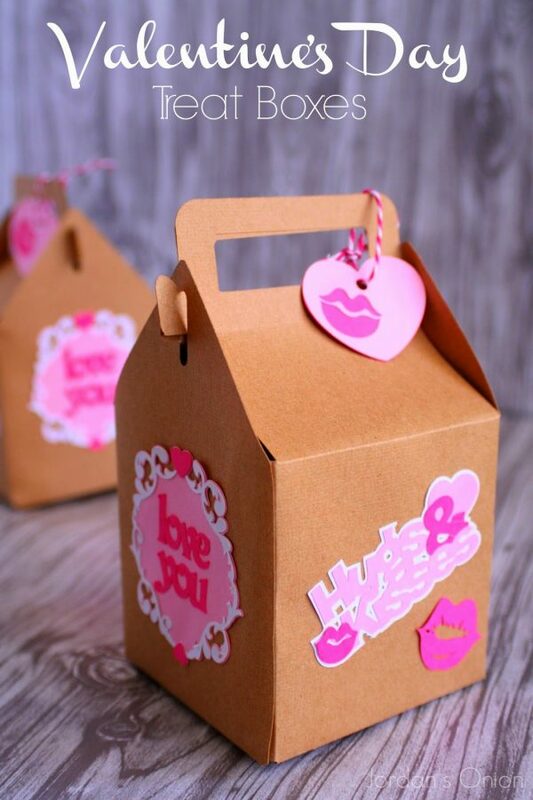 Lots of baking and decorating, along with paper crafts like these Valentin'e Day treat boxes. 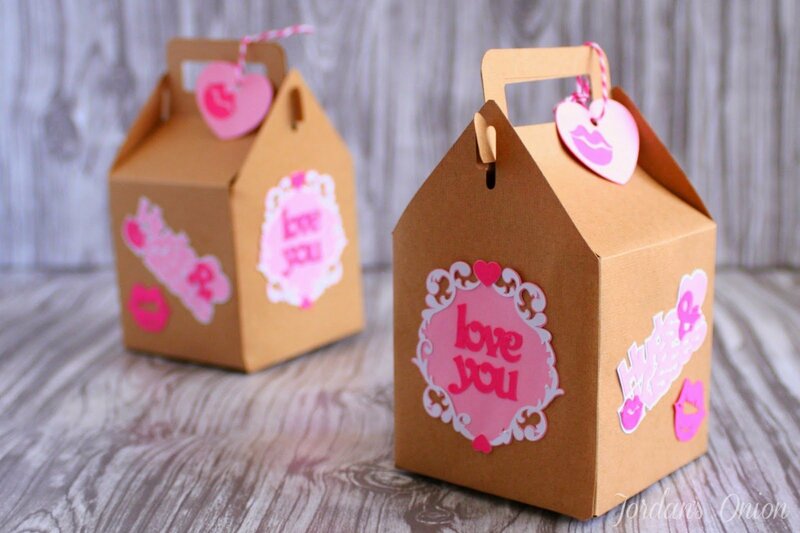 They are the perfect way to present a little gift to your Valentine. *This post contains affiliate links for your convenience. If you decided to make a purchase through one of these links, I will make a commission at no additional cost to you. See my full disclosure policy to learn more. Thank you to Roses Only for sponsoring this post in part. 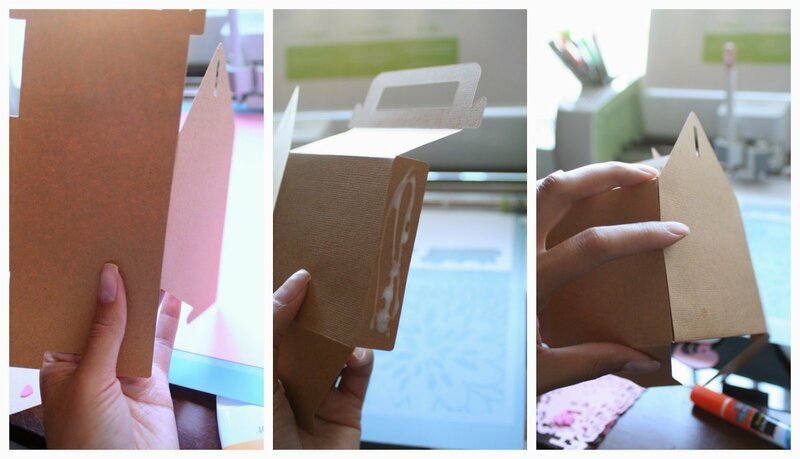 To make one box you will need 2 tan 12x12 pieces of card stock, as well as 1 white, l light pink, and 1 hot pink piece of card stock. You will also need glue, and baker's twine or another type of string. 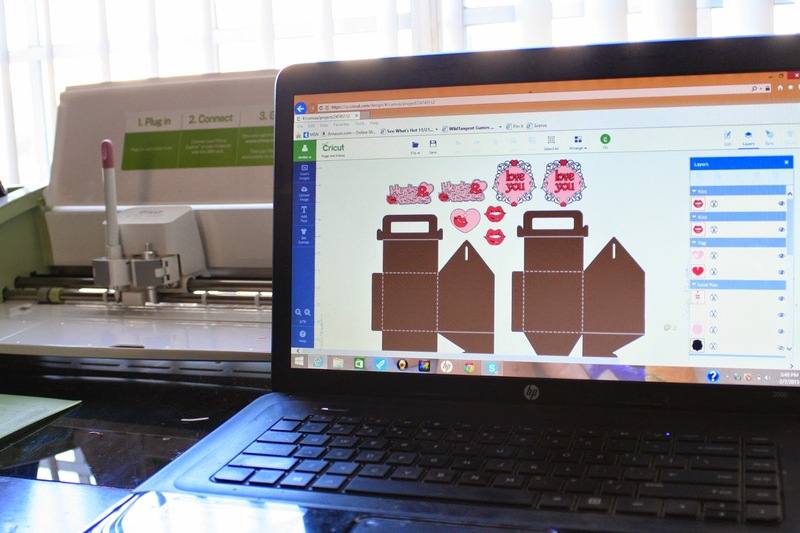 Start by opening up this project in the Cricut Design Space™. I made sure to only use images that are available in the Cricut monthly subscription. Once all of your pieces are cut, assemble the box. Fold along all of the scored lines. 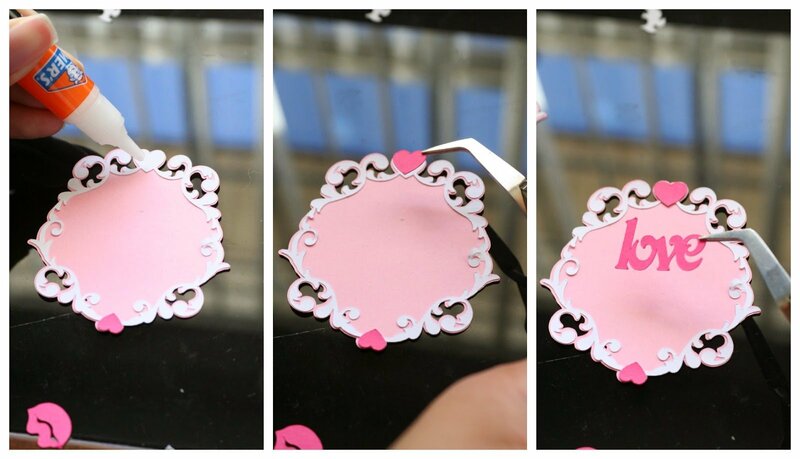 Add glue to the flaps and attach the 2 box pieces together. Next, glue all of your images together. I find it really helpful to use tweezers. Attach the images to the box. I placed my hugs and kisses image on an angle, with the kiss beneath it on the front and back. The love you image is by itself on the side of the box. 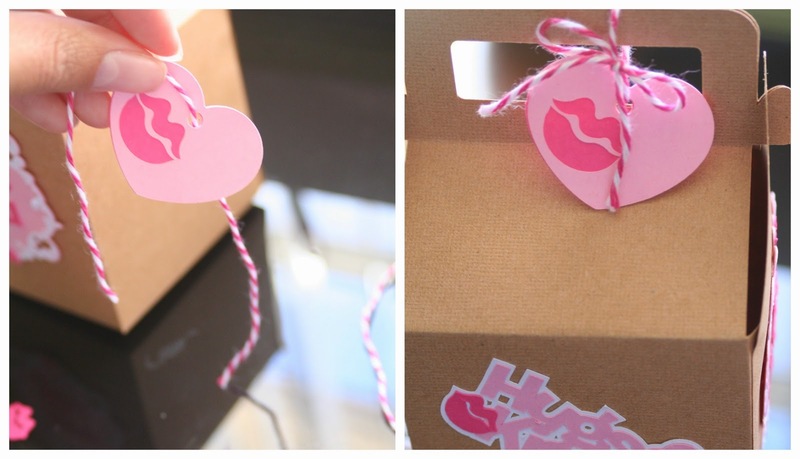 Finally, attach the heart image to the handle of the box with baker's twine. I like to reinforce the bottom of the box with tape, especially if I'm putting something a little on the heavy side inside. This box is the perfect size for a single cupcake. 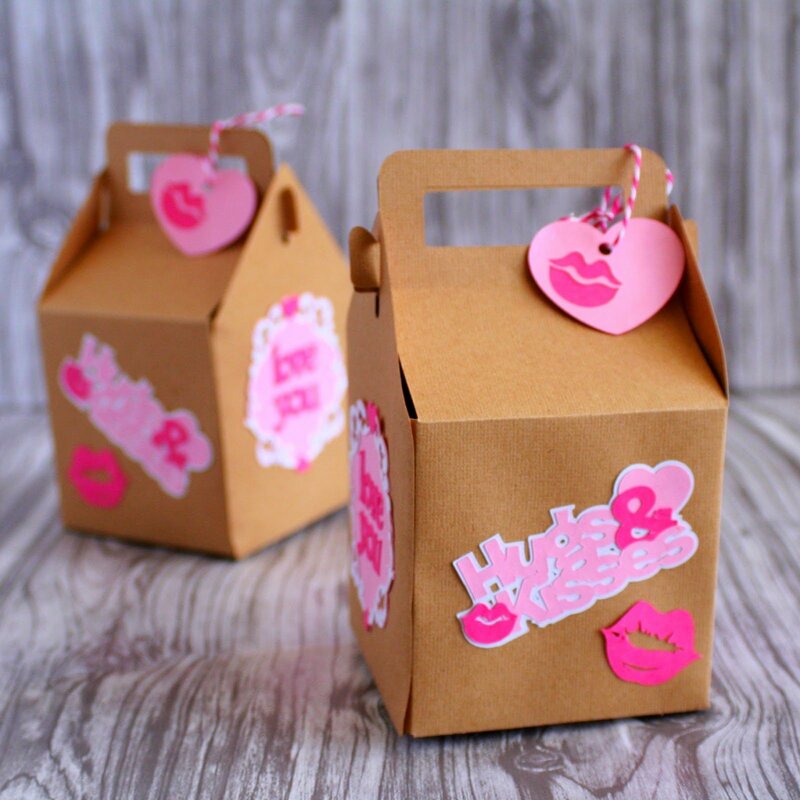 Some other suggestions to put inside: chocolate hugs and kisses, a small bag of meringues, movie or theater tickets, a small (very small) teddy bear, or a box of soap petals. Let me know what you put inside. For a more traditional gift, consider ordering something from Roses Only if you happen to live in LA or NYC. Happy Valentine's Day!